Southampton has over 2.5 goals in their last 5 games in Premier League. Arsenal scored in last 4 games in Premier League. West Ham United has over 2.5 goals in their last 3 games in Premier League. Liverpool allowed opponents to score over 1.5 goals in last 3 home games in Premier League. West Ham United scored in last 7 games in Premier League. Arsenal allowed opponents to score over 1.5 goals in last 4 games in Premier League. West Ham United has over 2.5 goals in their last 3 away games in Premier League. Racing Strasbourg has over 2.5 goals in their last 4 games in Ligue 1. Bordeaux has under 2.5 goals in their last 5 home games in Ligue 1. Bordeaux scored in last 6 games in Ligue 1. Racing Strasbourg scored in last 4 games in Ligue 1. Racing Strasbourg scored over 1.5 goals in last 3 games in Ligue 1. Aalborg has over 2.5 goals in their last 7 home games in Superligaen. Randers has under 2.5 goals in their last 4 games in Superligaen. Aalborg scored in last 5 home games in Superligaen. Kuopio PS scored in last 3 games in Veikkausliiga. Magdeburg has over 2.5 goals in their last 4 away games in II Bundesliga. Erzgebirge has under 2.5 goals in their last 3 games in II Bundesliga. Magdeburg won their last 4 away games in II Bundesliga. Erzgebirge scored in last 10 games in II Bundesliga. Erzgebirge scored in last 8 home games in II Bundesliga. Holstein Kiel has over 2.5 goals in their last 4 home games in II Bundesliga. Heidenheim has over 2.5 goals in their last 3 away games in II Bundesliga. Holstein Kiel won their last 3 home games in II Bundesliga. Holstein Kiel scored in last 9 home games in II Bundesliga. Heidenheim scored in last 4 away games in II Bundesliga. Hafnarfjordur has under 2.5 goals in their last 4 games in Urvalsdeild. Hafnarfjordur allowed opponents to score over 1.5 goals in last 4 games in Urvalsdeild. Vestmannaeyjar allowed opponents to score over 1.5 goals in last 3 games in Urvalsdeild. South Melbourne has over 2.5 goals in their last 3 home games in NPL Victoria (Australia). South Melbourne has over 2.5 goals in their last 3 games in NPL Victoria (Australia). Kingston City FC scored in last 4 games in NPL Victoria (Australia). South Melbourne scored in last 7 games in NPL Victoria (Australia). South Melbourne scored in last 5 home games in NPL Victoria (Australia). Atletico Mineiro scored in last 9 home games in Serie A (Brazil). Parana Clube scored in last 4 home games in Serie A (Brazil). Atletico Mineiro scored in last 3 games in Serie A (Brazil). Parana Clube has under 2.5 goals in their last 8 home games in Serie A (Brazil). Botafogo lost their last 4 away games in Serie A (Brazil). Botafogo lost their last 4 games in Serie A (Brazil). Parana Clube allowed opponents to score over 1.5 goals in last 5 home games in Serie A (Brazil). Atletico Mineiro scored over 1.5 goals in last 5 home games in Serie A (Brazil). Atletico Mineiro scored over 1.5 goals in last 3 games in Serie A (Brazil). Brann scored in last 3 games in Eliteserien. Bodo/Glimt ended draw their last 4 games in Eliteserien. 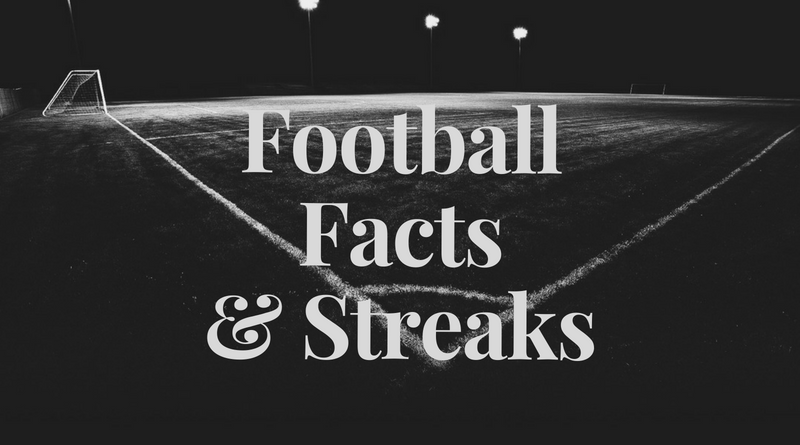 Stabaek has over 2.5 goals in their last 3 games in Eliteserien. Brann scored over 1.5 goals in last 3 games in Eliteserien. Bodo/Glimt scored in last 3 games in Eliteserien. Lillestrom has over 2.5 goals in their last 4 away games in Eliteserien. Brann has over 2.5 goals in their last 4 games in Eliteserien. Lillestrom scored in last 4 away games in Eliteserien. Brann scored in last 7 away games in Eliteserien. Lillestrom scored in last 4 games in Eliteserien. Ostersunds won their last 3 games in Allsvenskan. Ostersunds scored in last 6 games in Allsvenskan. Hacken scored in last 22 home games in Allsvenskan. Djurgardens scored in last 7 games in Allsvenskan. Djurgardens allowed opponents to score over 1.5 goals in last 8 away games in Allsvenskan. Djurgardens allowed opponents to score over 1.5 goals in last 5 games in Allsvenskan. Ostersunds allowed opponents to score over 1.5 goals in last 6 home games in Allsvenskan. Ostersunds allowed opponents to score over 1.5 goals in last 5 games in Allsvenskan. Istanbul Basaksehir has under 2.5 goals in their last 4 home games in Super Lig. Istanbul Basaksehir won their last 3 home games in Super Lig. Istanbul Basaksehir scored in last 4 home games in Super Lig. Trabzonspor scored in last 6 away games in Super Lig. Istanbul Basaksehir scored in last 3 games in Super Lig.